NBS Sharing Dance Day 2019! 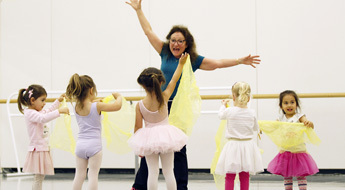 Canada’s National Ballet School’s (NBS) Sharing Dance Day is the nation's largest dance party. 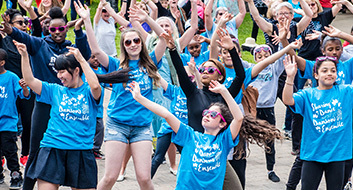 Communities gather to celebrate dance, appreciate local artists, and connect with one another through the power of dance. Click to learn more about this year's event! Two world premieres. Two classical excerpts. In one highly anticipated Spring Showcase 2019. Since 1959, Spring Showcase has been an annual performance tradition at Canada’s National Ballet School (NBS) – completely unique in its opportunity to witness the next generation of leading ballet artists as they develop and explore the full spectrum of this rapidly-evolving art form. Put some spring in your step with Adult Ballet! Our popular Adult Ballet program offers curriculum-based training which thrives on the same teaching theories and evolving practices as those of our professional training programs, providing participants with a ‘ballet experience’ in a safe and supportive environment. Register today to secure your spot in Term III! 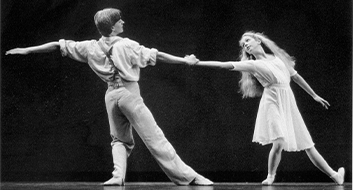 NBS has a rich 60-year history and an international reputation for excellence, with alumni working in 80 schools and companies in Canada and abroad, frequently taking leadership roles as choreographers and artistic directors. The power of dance and the NBS experience reaches across all sectors and disciplines—Arts and Culture, Health and Medicine, Academia, and more. If you are an NBS Alumni, click to join the NBS Alumni email list. Subscribe to the NBS e-newsletter and stay up-to-date on all NBS programs.